The Spaniard was speaking after watching his side beat Leicester 1-0 at the King Power Stadium courtesy of an excellent first-half header by Ayoze Perez, sending them 10 points clear of the relegation zone to all but secure their Premier League status for another season. 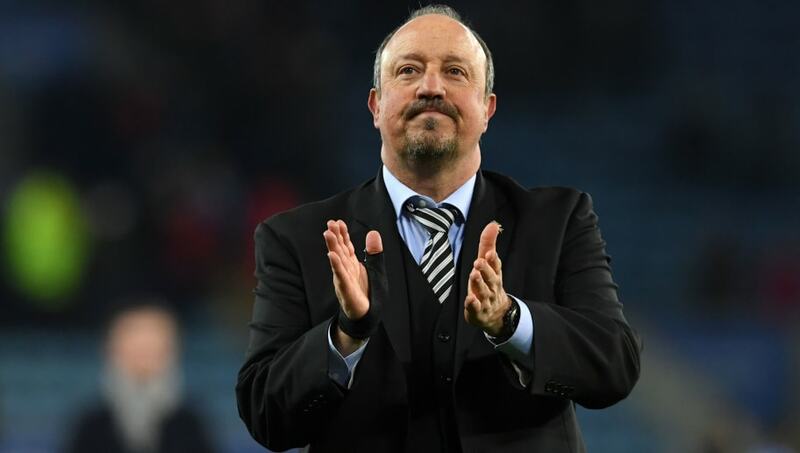 Speaking to ​Sky Sports after ​the win, Benitez said that ​Newcastle already have the infrastructure and fan-base to be successful in the top half of the ​Premier League but must invest in the transfer market to be more competitive - indicating that he wanted to be promised backing in the transfer market before he signs a new deal. "I have been trying to win titles everywhere, in different countries, and we have to have a team that can compete," he said. "You cannot go up against a team thinking 'maybe we can win' or that a draw is a good result, no. We need to be stronger. We have the city, we have all the potential. "The city, the club, everyone in Newcastle is supporting the team so it's massive. I'm not saying £200m but doing a little bit more, doing the right things, we can compete against the teams that are now maybe between seventh and 12th. But we have to do things right." "Even if you have a lot of money, you can make mistakes in the transfer window but when you have less money, it's more difficult. "You can do everything right, your tactics, your team selection, your substitutions but if the other team has one player who can make the difference… that is now the Premier League. If you want to sign one of the forward players from ​Leicester now, you have to pay £30m. "So we have to be more competitive in the window, we have to do things in the right way and then you have massive, massive potential in Newcastle."